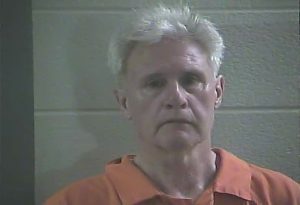 LONDON KY—On Friday, August 12th London Police Detective Stacy Anderkin arrested William K. Curry, 61, of London for first-degree sexual abuse of a child under 12 years of age. On Thursday, August 11th an eight-year-old child was interviewed at the Cumberland Valley Children’s Advocacy Center. The Forensic Interviewer stated that during the interview, the child disclosed about being subjected to sexual contact by a male relative. The victim stated that the last time the incident took place was on Tuesday, August 9th. Curry was arrested and charged with first-degree sexual abuse of a child and was lodged in the Laurel County Detention Center.